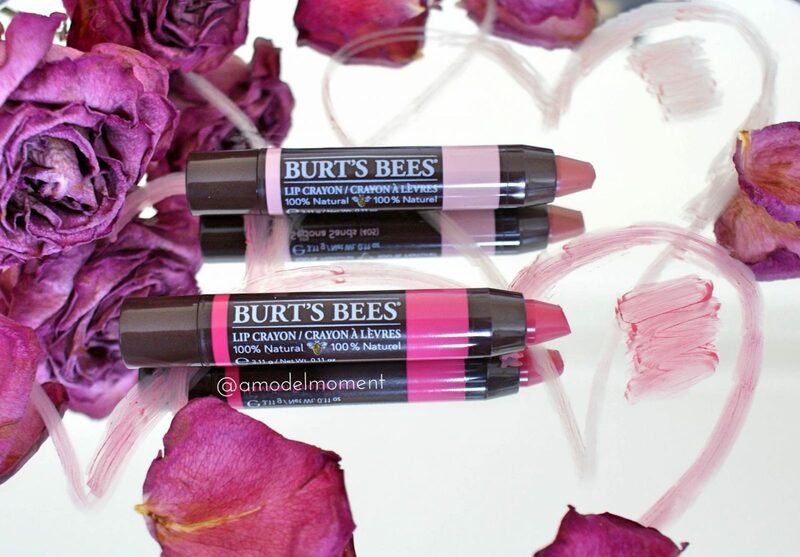 The Burt’s Bees Lip Crayons are a steal at £8.99, they’re 100% natural & cruelty free! The pigment in each of these is really strong, they finish demi-matte on the lips. They glide on, are super moisturising and have a strong pop of colour. Although they have a matte finish, it doesn’t feel like there is anything on your lips and they’re very comfortable to wear everyday. They are available in 6 truly beautiful colours, all infused with Shea Butter, Kendi Oil, and Jojoba Oil. It’s colour that truly cares for your lips! Hooray for Shea!! … the Shea butter in these lip crayons makes them oh-so moisturising and leaves your lips feeling great all day. It also helps to reduce the appearance of fine lines and wrinkles, making the Burt’s Bees Lip Crayons a great anti-ageing treatment for your lips. I love love looooove them after wearing Sedona Sands over a darker lip liner for a girls lunch on Saturday, it lasted all day/night! I will definitely be trying out one of the darker reds for an evening look. The fact that they’re so natural makes them even better, no parabens/ phthalates/petroleum/SLS and no animal testing. Next Post Dry Body Brushing 101 – From Celebrities to Cellulite.